1) In a large sauce pan melt the butter and heat the oil on medium high heat. Saute the shallot until it softens. 2) Add the herbs and salt and pepper. Stir for a minute. 3) Turn the heat up to high and add the chicken broth and beer. Bring it to a boil. 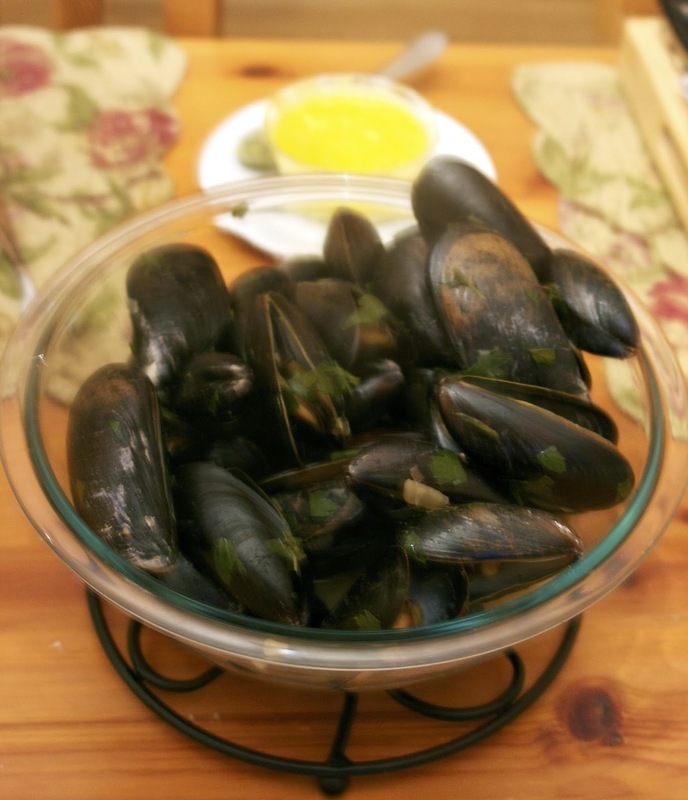 4) Add the mussels to the boiling stock, lower to simmer. Cover and cook for about 4 minutes or until most of the mussels open. Do not eat the mussels that don't open. 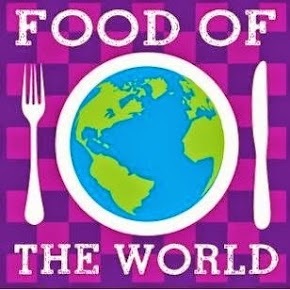 Please add your Belgian recipes to the linky below and visit my co-host to see what they are cooking in Belguim today. Next month on Nov 11th we will visit the tiny island of Malta. Start checking out recipes from this country's cuisine. Mussles in Brussles, I like that! I'm going to guess that Cassi never even tried those while she was there, lol I can't even get fresh mussles here in Iowa. :( Of course I am all over the pommes frites! If you ever get to NYC I will bring you out for good seafood Lisa. Malta is going to be really interesting... truly exotic. Mussels that are shore harvested tend to be the ones that are gritty, look for rope grown mussels, they are generally much better quality, sustainably farmed, and less likely to have bits of crunchy sand in them. I usually make a quick tagliatelle with mine, saute some onion, then add the mussels, a little white wine and some garlic. Then add carbonara sauce and heat. Pour over some fresh tagliatelle pasta and serve with fresh crusty bread. Yummy. I have also tried Dianne's recipe too (In Brussels), and it's really good. Thanks Nick for the info on buying mussels. You make it sound so easy to cook Mussels. Though like Lisa, I probably wouldn't be able to find good fresh ones here in North Dakota. 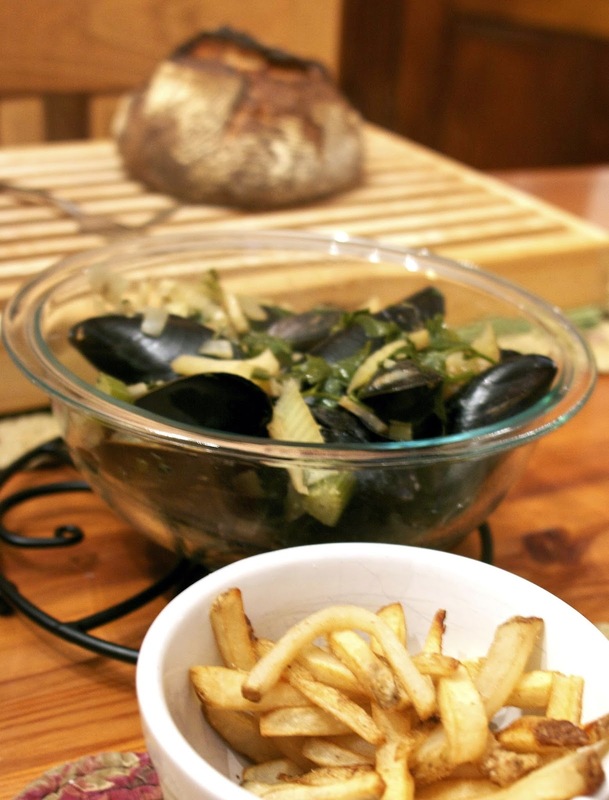 Delicious Belgium mussels, thanks for sharing with hearth and soul blog hop. pinning. My husband would love this, he loves mussels!! Thank you so much for linking up at Tasty Tuesday! Your recipe has been pinned to the Tasty Tuesday Pinterest board! Please join us again this week!